"and the name H.M.S. Belleisle printed on both" (U13.15). The Royal Navy coastal defence vessel H.M.S. 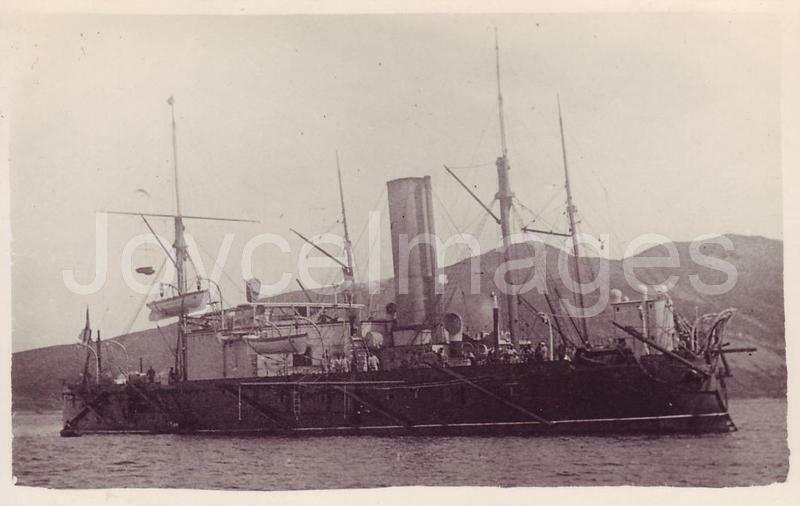 Belleisle was originally the Turkish gunboat Peiki Shereef, built at Poplar and launched in 1876. She was purchased from Turkey in 1878 and converted to a target ship in 1903. The wreck was sold to Germany for breaking in 1904.